Hello! The weather here in Philadelphia was simply beautiful today so I took the chance to don a pair of black shorts. I styled them with one of my latest additions to my wardrobe- a tan and white tank top. 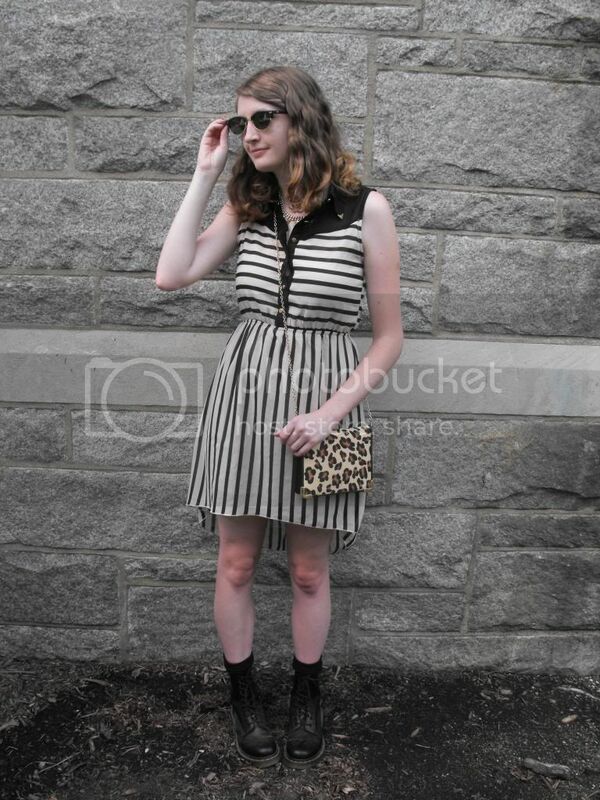 Eikosi recently sent this top to me to style with one of my looks. This is the "Color Block Cropped Top in Toast," and it retails for $16.99. What I really love about this top is the versatility. The neutral colors make it easy to pair with almost any other color or print. I also love how light-weight the top is. However, the airiness of the shirt is also accompanied by a slight sheerness so I slipped a black bandeau on underneath the top. And although the weather today here was beautiful, it wasn't quite warm enough for just a tank top and shorts so I layered a classic denim button down over my color-blocked top and slipped into a pair of black knee-highs. I also grabbed my pair of Doc Martens. 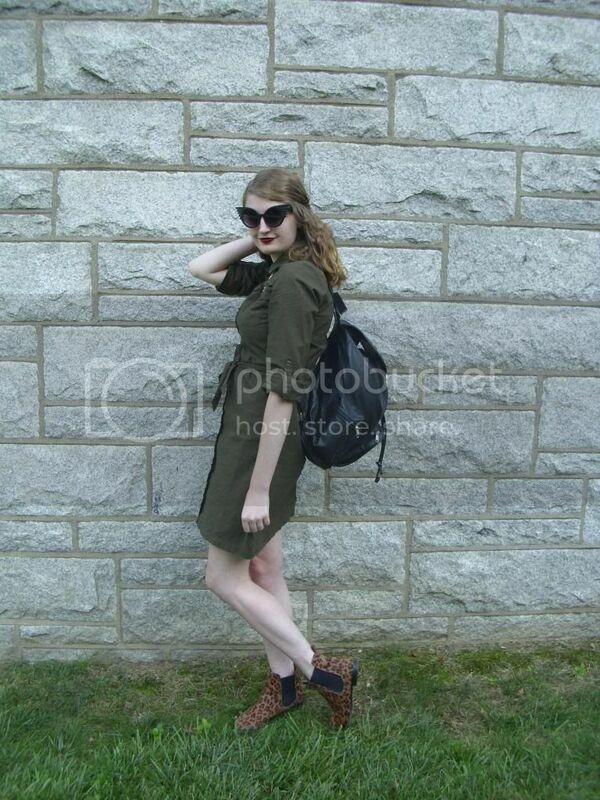 I accessorized with a stylish pair of sunglasses, a statement necklace and a neutral-colored patterned tote bag. This tote bag is the perfect size for lugging my notebooks and folders to class while not feeling burdened down by it. Almost as an afterthought, I slipped on this necklace because of the way that it accentuated the colors in my bag. Oh and I published my first article on StyleLine (Philadelphia University's student-run fashion blog) about the plaid trend this fall HERE if you want to check it out. **Big shout-out to Taisha of Fashionably Au Naturale for taking these photos. Thanks, girl! Hello! 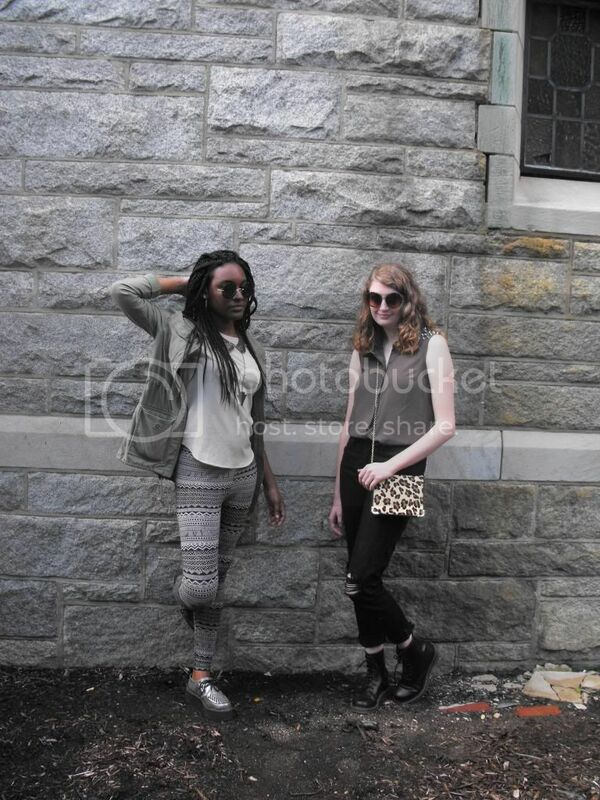 Yesterday, Taisha and I posed for a few outfit photos. Taisha is one of my roommates and these photos were taken by my one of my other roommates- Lauren. You can check out Taisha's tumblr HERE. 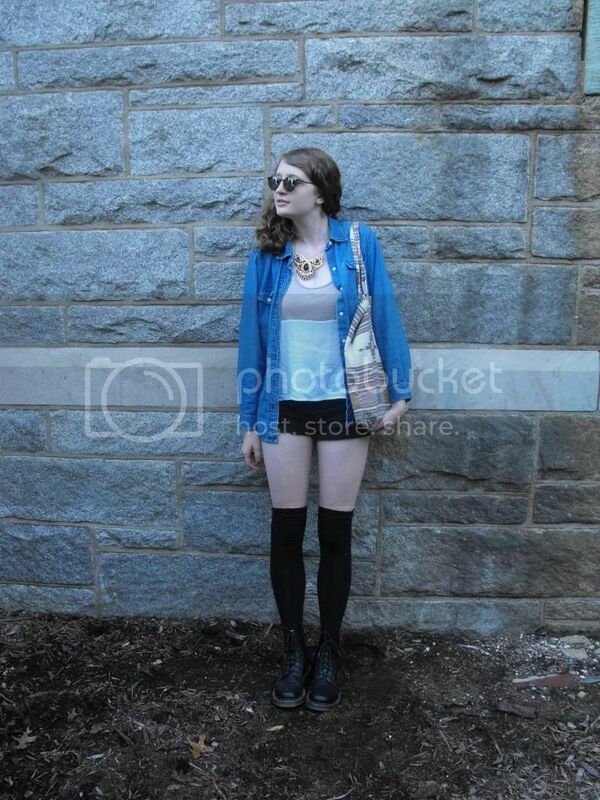 For my look, I wanted to evoke an edgier, more urban vibe. I began my look with a pair of black denim ripped at the knees. I topped my black denim with a neutral-colored, sleeveless button down. Although you can't really see it in these photos, the shoulders of this top are studded with silver spikes. 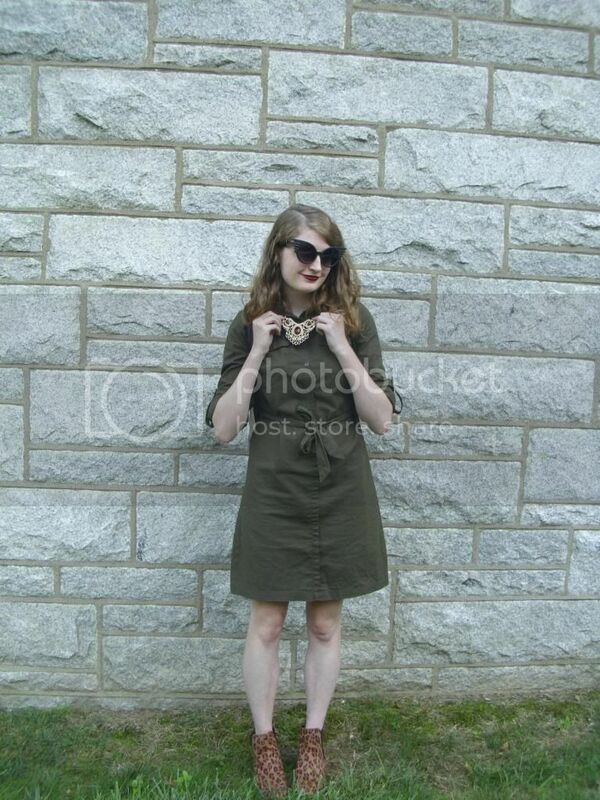 To keep the edgier vibe going, I threw on my pair of Doc Martens. As a side note, I am finally beginning to truly break my Doc Martens in. Sure, I'm still wearing two pairs of socks when I wear them but they are much more comfortable. No more blisters or extraordinarily sore feet! 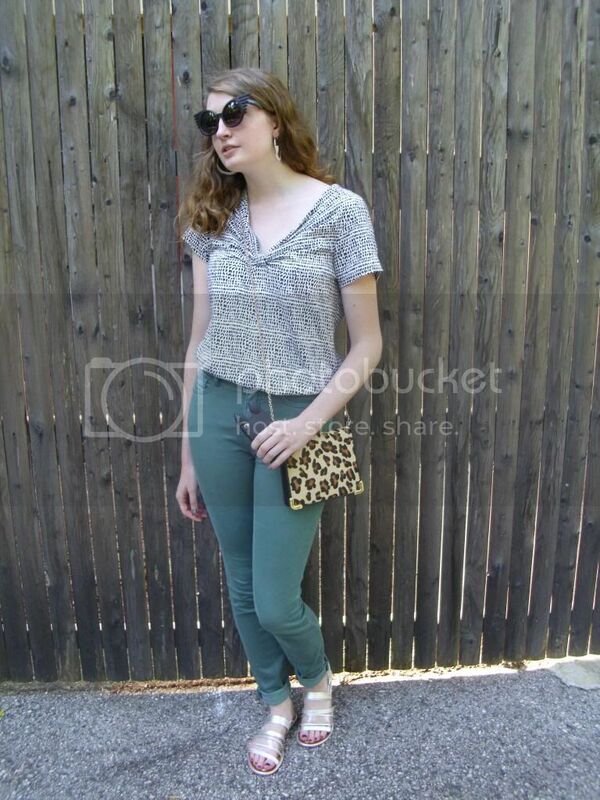 I accessorized with my leopard print cross-body (my go-to college bag) and a pair of round, tortoiseshell sunglasses. Shop Lately recently sent me these sunglasses to spotlight on my blog. These sunglasses are made by ZooShoo and are the "Leary Theory Sunglasses." They retail for $12 + shipping. I have a feeling that these sunglasses may be one of my new favorite pairs of fall sunglasses. The shape of the sunglasses is simply wonderful while the tortoiseshell print makes them extremely versatile. Talk about a great combo! Ahh, September! One of my favorite months of the year. 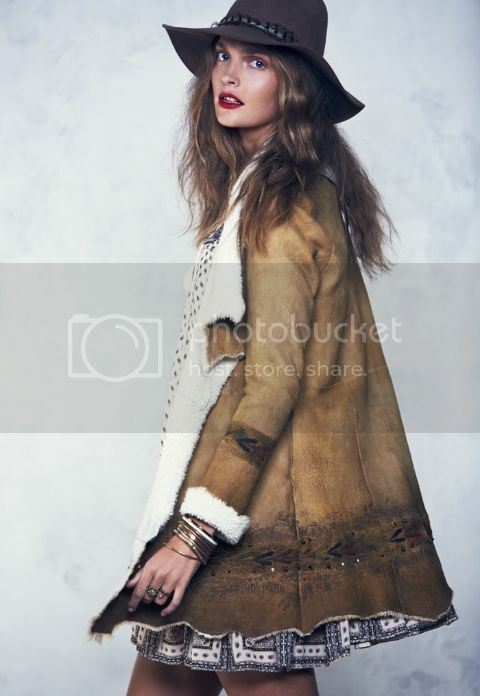 And how swoon-worthy is Free People's September 2013 lookbook? 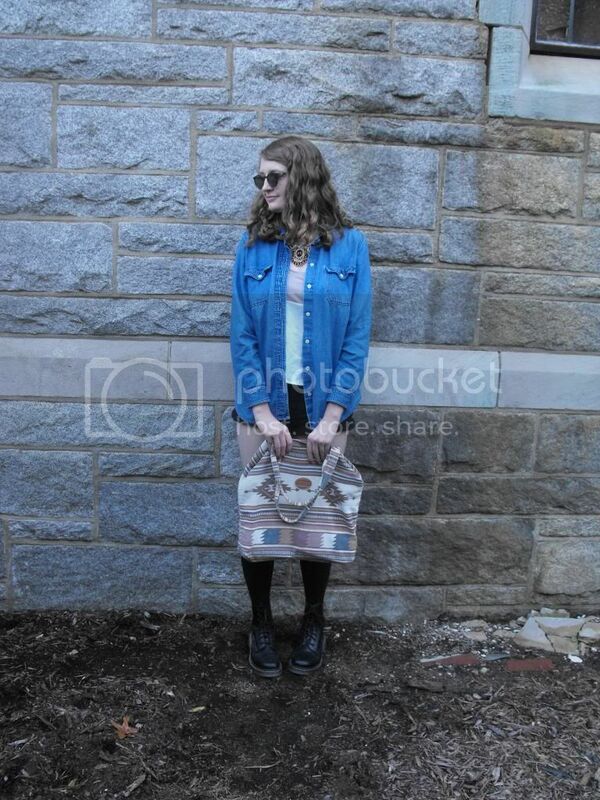 The September 2013 lookbook is entitled "Folk Tale." I really love the boho, free-spirited feel of this particular lookbook. All of the looks are so breezy, so carefree, so effortless. I love how the stylists left the model with messy bedhead; it adds enormously to the overall appeal of the looks. As for the clothing and accessories themselves, I think that I am in love. 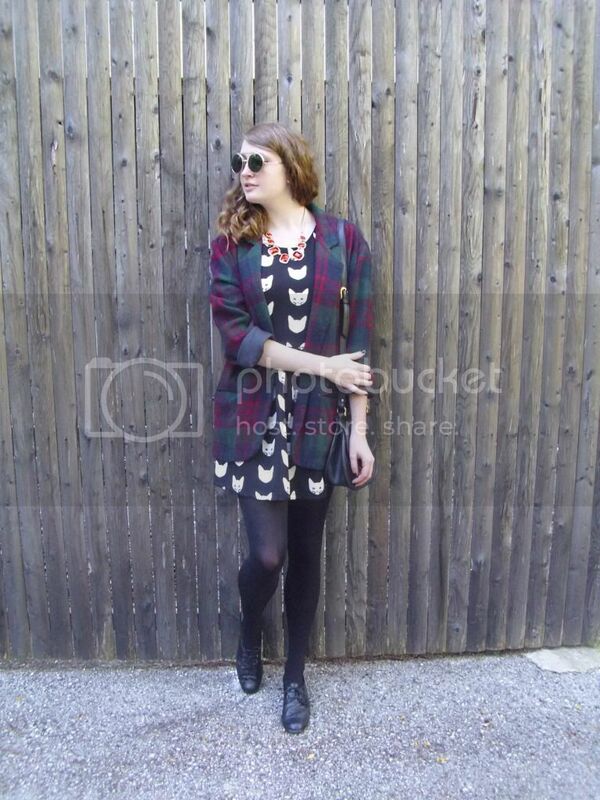 The quirky prints and vintage-inspired jewelry have me falling head over heels! And how could you not fall in love with the loose, oversized feel of the different shirts and dresses? I will definitely be turning back to this lookbook for inspiration as I plan my outfits this fall. 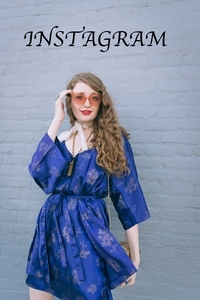 Check out Free People HERE to find the wonderful pieces from the lookbook and many others. Hello! 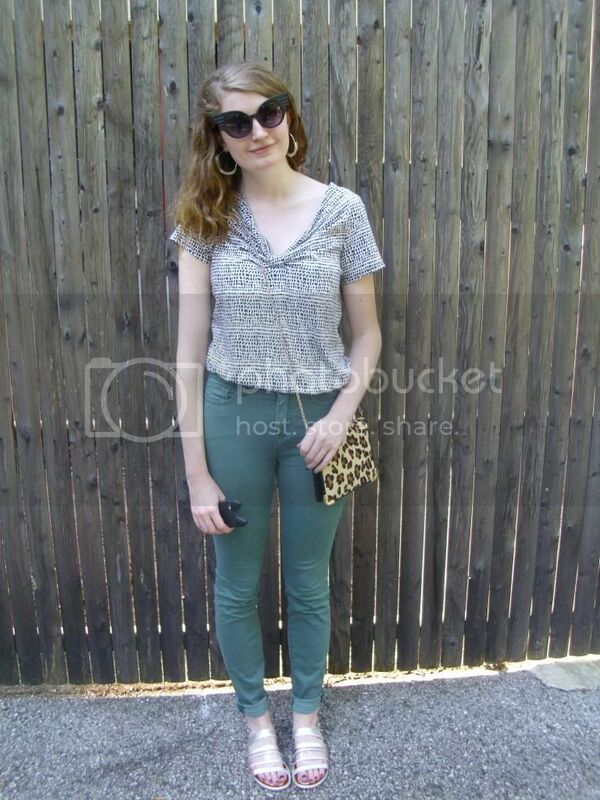 Cool temperatures yesterday allowed me to break out my green, high-rise skinny jeans for this first time this fall. These are my favorite pair of pants in my wardrobe. I just love everything about them- the high-rise fit is super flattering, the green color is ideal for fall and they are extremely versatile. 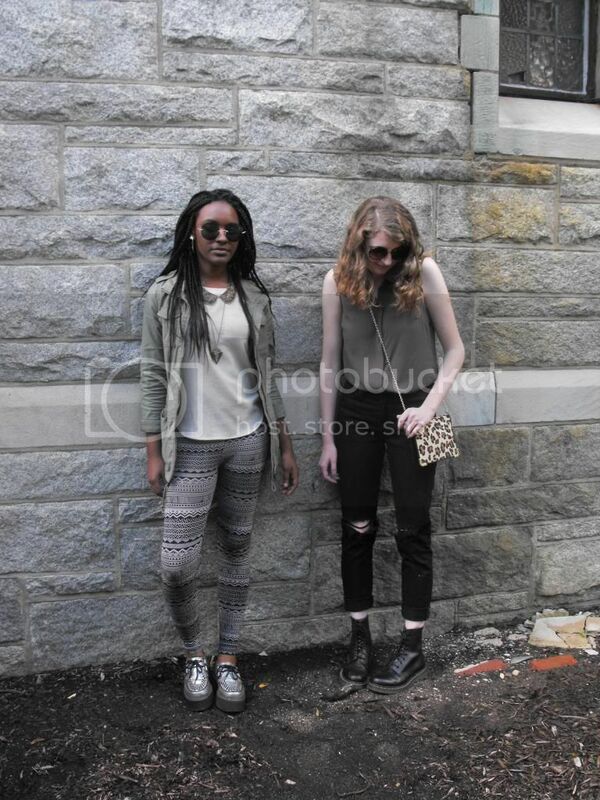 I styled them with a black and white printed tee, a leopard print cross body bag and silver sandals. The perfect outfit for a day spent catching up on homework and other errands! I accessorized with a pair of retro sunglasses (my current go-to sunglasses) and a pair of silver hoop earrings. Megan of Megan's Beaded Designs recently sent me these hoop earrings to wear on my blog. These are the Silver Lining Hoop Earrings and they sell for $16+shipping. Although I don't usually wear hoops, I am definitely a fan of these earrings. They can be worn with a simple outfit like my look above for a day spent running errands or with a stunning dress for a night out. You can check out Megan's Beaded Designs HERE. Hello! I would like to start this post with a shout-out to my roommate, Taisha of Fashionably Aú Naturale, for taking these photos. You guys should definitely go check out her tumblr and follow her. 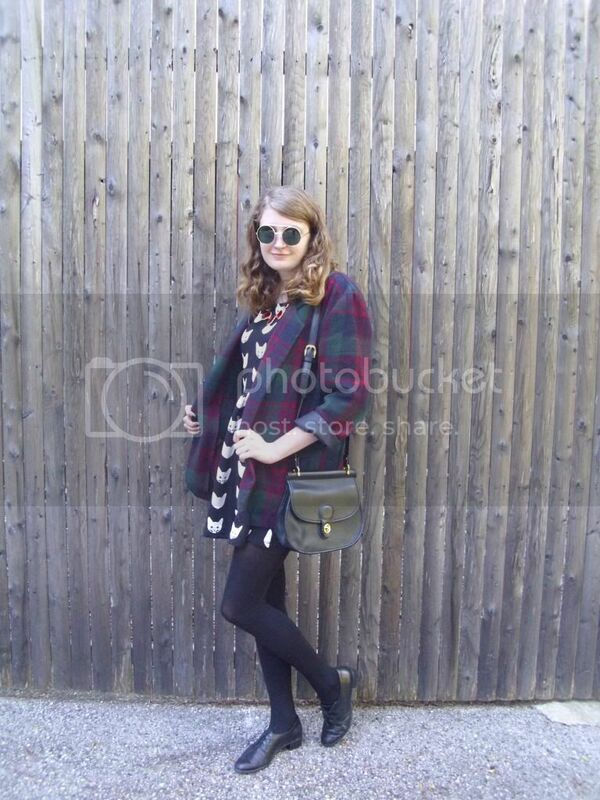 She primarily reblogs fashion-related and street style photographs. Anyway, onto what I wore today! 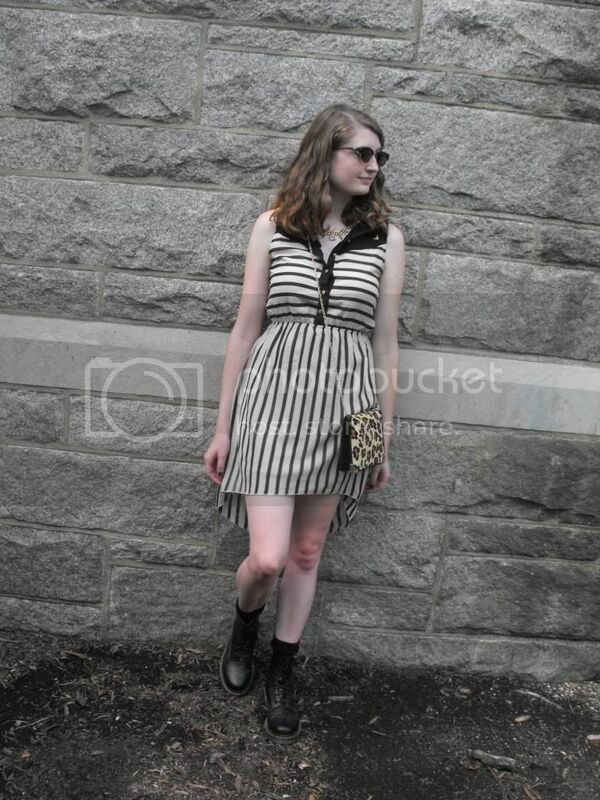 I started my look off with this creamy-white and black striped dress. I love the way that the stripes on the top of the dress run horizontally while the stripes on the lower portion of the dress run vertically. The gold accents on the dress (on the buttons, collar, etc.) also instantly drew my eyes to this dress. Believe it or not, this dress cost me less than $15 at Ross. How crazy is that? Because I knew that I would be doing a lot of walking today, I slipped my feet into my pair of Doc Martens. Still working on breaking these lovelies in! 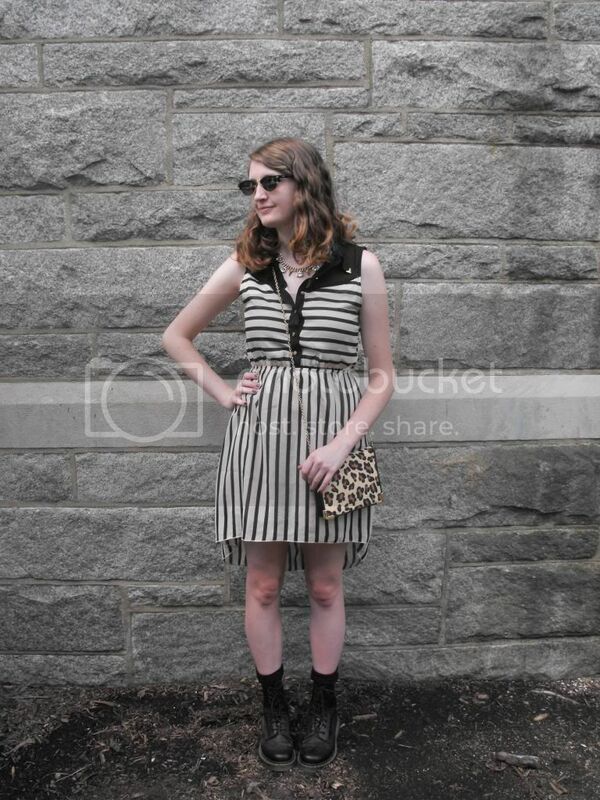 I wanted to add another pattern to my look so I grabbed my leopard print crossbody. I played up the gold accents on the dress by donning two pairs of golden studs, gold-rimmed sunglasses and a glitzy golden necklace. This glitzy golden necklace is the latest addition to my jewelry collection. And let me just say that I love it! When I saw it on ShopLately, I knew that this necklace would be the perfect addition to my collection of necklaces. 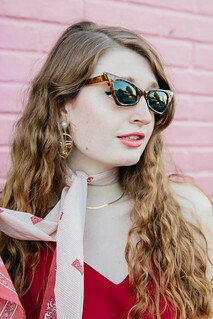 This is the Bitter and Sweet Chain Necklace that Lily Wang sells on ShopLately for $16+ free shipping. ShopLately is a very interesting site because it is essentially an online market place where numerous jewelry designers and companies can sell their jewelry and other accessories. There is a wide range of different options on the site. Earrings, necklaces and bracelets abound. ShopLately also carries bags, hats, scarves, watches and pins among several other items. There are so many different styles to choose from that it can almost be overwhelming. 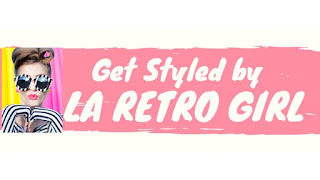 Whether you are looking for a piece of jewelry that is edgy or boho or glam or classic, ShopLately is bound to have it! And now more about this necklace. When I received it in the mail, I was ecstatic. I love the juxtaposition of edgy and girly what with the spikes and diamonds combo. Surprisingly, I also really love the length of this necklace. Typically I go for longer necklaces but I must say that this necklace has me re-evaluating that opinion. The quality of the necklace is also wonderful. I have a feeling that I may have a hard time putting this necklace down this fall!